Indoor Home Garden – arts, ink. Winter in the midwest is the time for everyone to stay inside and wait until April before venturing outside, it’s too cold to go outside and play. In the southern hemisphere winter is the time for people to be outside and enjoy the nice weather. Over winter break I was lucky enough to take a 10 day trip to Ecuador and learn all about food sustainability. The winter season for them is when they start to plant their crops so that they will grow nice and large for picking season in the late summer. This got me thinking about planting in the midwest in the winter. It is too cold to go outside and enjoy gardening, but it is the perfect time to start a small indoor garden of your own. Some very good indoor plants that are hard to kill are string of pearls, succulents, and prayer plant. Succulents are already very popular and famous for not needing much attention, but these other plants are also easy to keep alive and they will add some color to your room/house. Other plants are nice to have in your home because they have a purpose. Some purify the air, some can calm you down. The Peace Lily and Snake plant are great for purifying the air, and they only need minimum light to keep alive, which is great for winter months when there isn’t much sunlight. Other plants like aloe and lavender are great to have to calm down and help you sleep. The last type of plants that are great to have indoors all year round are edible plants. Some herbs that are easy to grow, and can be useful very often are basil, thyme, and parsley. These plants are easy to grow, and will be very useful when cooking. Another good plant to grow is mint, but that is a little harder to grow inside. While winter is a time to stay inside, it doesn’t have to be the time to stop gardening. 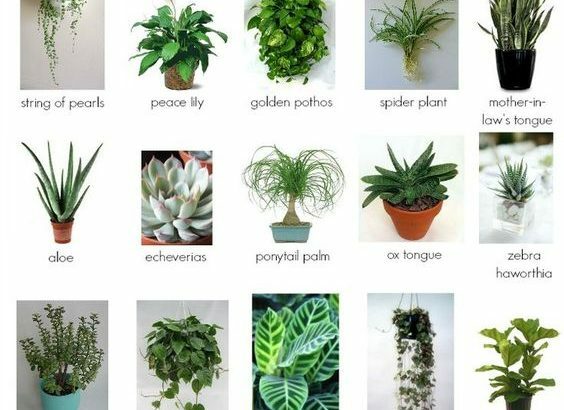 These are just some of the easiest indoor plants to grow, but there are almost unlimited options to start growing an indoor home garden. 1 Comment on "Indoor Home Garden"
I love this idea! A great way to break up the winter and add some life to your house/room.